Home / Posts tagged "mobile app development company"
In this technological era, app development companies are growing very fast. More than 80% of the companies are focusing on more robust strategy for scaling their app development. 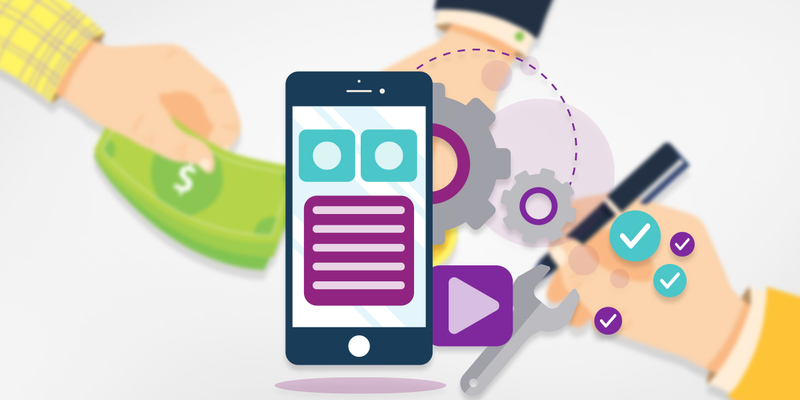 Therefore, the mobile app development service providers searching a way to stand out their IT services from others as it is quite tricky, as the market flooded with options and everyone is looking for the best one. It is a foremost step of any new app. So, before starting with any development process, it is essential to understand what your target user base demands. For instance, people prefer apps in their regional language, and for better results, one can do the competitors analysis of the app and see what they are offering because there are billions of people who are using smartphones which means you can’t jump in the market without any plans. Trends don’t stay constant, it keeps changing, and hence it is necessary for every app development company to know what the latest trend is going on before starting development of a mobile application. So, as of now augmented reality app development, on-demand solution and unity game development are in trend. Therefore, this helps you by giving the chance to let your company know and help your app to reach the top of the mobile app market. The mobile app service provider is investing in more strong platforms which will help users with seamless navigation. Therefore, it is not as easy as devices and operating systems to continue to change because there are numerous approaches to app development, including block chain application development. Hence, a Native and Hybrid mobile app platform has its own set of tools and methodologies so it will be difficult for an individual to decide which platform they should use. No one wants to create a clone what has already established because every company targets something unique and innovative to entice the set targeted audience. Therefore, it is essential that your mobile app should meet your vision. So, while developing a mobile app, it is always better to highlight your app USP and innovative idea without over-stuffing your app. Additionally, you can also make sure that every screen of the app reflects what your app has promised. Mobile apps testing are not a new concept anymore because many tired and tested tools have developed entirely for this task. However, testing is a one-time process which is done only before releasing the app. Therefore, it is necessary to keep testing your app for successful Mobile app development regularly. It will also help to spot the error in your app before any of your users does. App store optimization and search engine optimization mainly depends upon the application name. Therefore, according to the research from Sensor Tower Note, 74.3% of the apps with top rank for high traffic keywords included the target keyword in their app name. Henceforth, there are millions of apps available on app store and Google play store, but only those apps are discoverable which hits users search query, and then nobody noticed the apps which are settled in beneath of the app stores. Nobody likes to see an app which consumes 100Mbs from the limited storage of smartphones. So, from a user’s perspective, an app which uses few Mbs from their phone storage must be capable to do their task in a more efficient way. Therefore, avoid the use of unnecessary objects and variables because it can slow down the performance of your app. 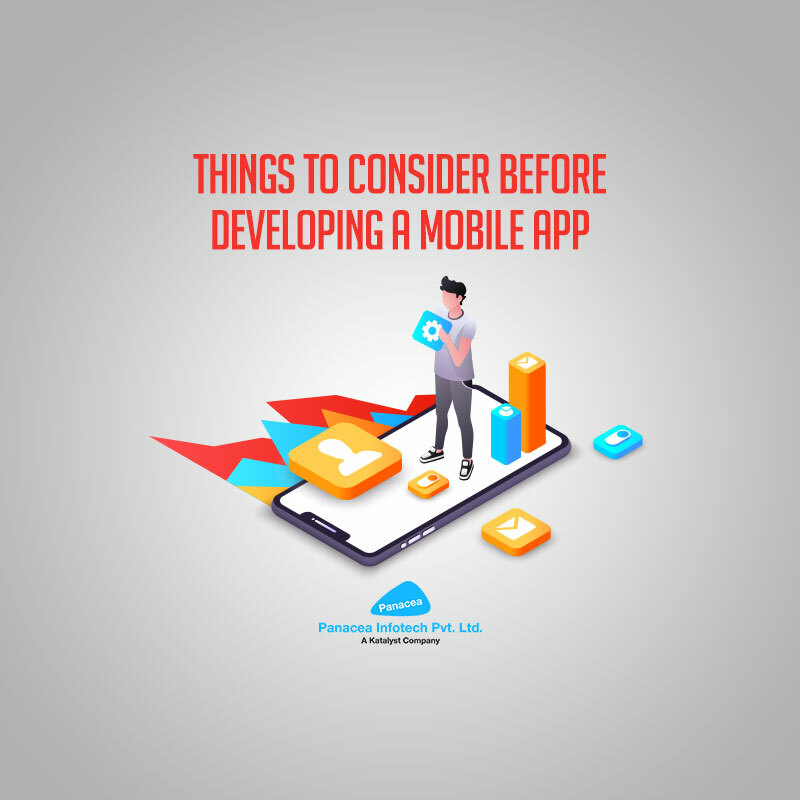 So, for wrapping up there is no sure shot success pill of anything which you can do in this world, but above given tips can definitely help you plan for mobile application development long lasting. The delivery apps below can lower down a human to human contacts and initiates in trying new restaurants and foods. The app will show hundreds of restaurants just you give input of location of your area. We have shown up the best food delivery app which will efficiently delivery your directly on your doorstep. The Uber Eats is an individual delivery app which is currently serving in various cities like New York, Chicago, and Los Angeles. Like people have trust in uber cars which drive safely on board, they also trust Uber Eats to deliver your food. While UberEats and Uber are separate apps but they share various features like estimated time of delivery and cashless transactions. Uber Eats is available in Austin, Baltimore, Portland, USA, India, Amsterdam, and various other locations across the globe. They deliver free or usually charge an average of $5 for the delivery. GrubHub has the availability in more than 900 cities across the globe. This app is available in both the iOS and Android platform. GrubHub shows all the restaurants in your area; all you need to do is to enter the location. The app has the option to search the food or restaurants as per the cuisine or through a specific menu item. 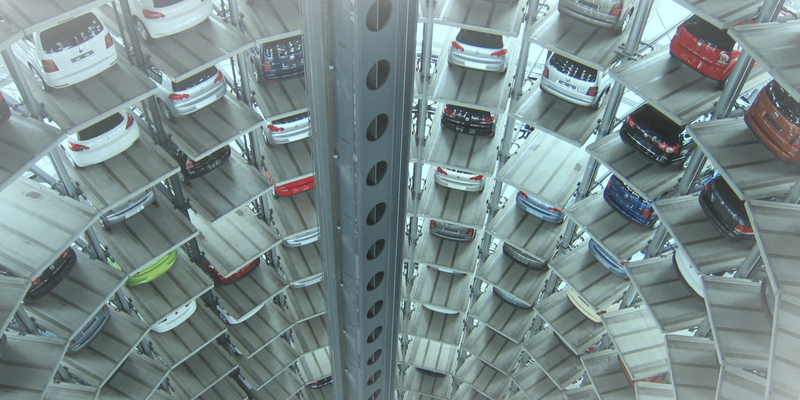 One can also save delivery locations, like work or home for making the process faster. Seamless is probably the most suitable name of mobile software in this list. Not only the app offers menus from thousands of restaurants and offers exclusive in-app discounts, but it also gives free delivery and enables the orders in just a few steps. It has its robust availability in more than 600 cities in the USA and across the globe. There is often a minimum order barrier in seamless, but they do not charge anything for delivery. One big thing about using the delivery app is that it usually has a cashless transaction. Usually, the food delivers apps accept major payment options like Apple Pay, PayPal and credit card but Foodler accepts two other payment methods, i.e., Bitcoin and Foodler bucks. Moreover, added to be a delivery service, Foodler also has an underlying rewards program that allows the one to earn free cost meals. The Foodler is available in 4000 US cities, but have few restaurants on the list when it comes to cities of USA. 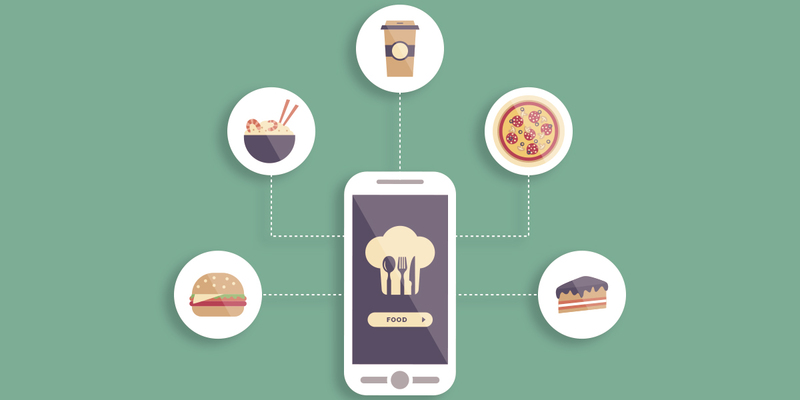 Restaurants may charge the delivery fee, but usually, an app is free to use. Doordash is smaller than other apps like GrubHub or Seamless, but it offers unique features like DoorDash delight scoring system which is fantastic. “Delight Score” uses factors such as food quality, the popularity of the restaurant, delivery time and customer satisfaction to recommend the best restaurant in the area. The availability of the DoorDash is in dozens which include Seattle, Boston, New York, Chicago, and Atlanta, etc. The delivery fees vary by restaurants. Price usually includes the cost of your food, tax, delivery fees, and an optional tip. Some restaurants charge extra service fees. Postmates are slightly different in our list than other food delivery services. First of all, one can get more than simply food. Postmates is a delivery service which delivers anything from just about anywhere and carries it to your door, even liquor. As postmates do not associate with any restaurants, the only thing that you limit is your location. They are currently present in more than 90 US cities. A charge has been added to each order, and additional blitz pricing charges may also be added during extreme delivery time. Postmates also avails plus unlimited services at 10 dollars every month, which allows free delivery for a selective store on orders of 25$ or above. While various food-delivery apps work as an intermediary between customer and restaurants, goPuff works like an easy digital store. GoPuff offers delivery of various products right from phone chargers to bathroom tissues. It even delivers vaporizers and so on. They have a long list of items and a robust database. This app works efficiently in Boston, Washington, Phoenix, Seattle, Chicago and various other locations across united states. They are also looking forward to expanding their service shortly. The app is free to use, but when falling within one of the 30-minute on-demand delivery zones, goPuff charges $ 2 for delivery. They deliver free if you order more than 49$. All delivery services in this list have some forms of a rating system. Of course, no other review systems is almost as strong as the Yelp has been provided by 24. Developed on years of reviews, yelp 24 stands tall in the competition. You have trusted Yelp to choose a restaurant; Now you can count on it to give your dinner. They are currently available in more than 1500 US cities. The app is free, but restaurants charge a delivery fee and have no minimum order barrier. Delivery.com is a delivery service which goes beyond the menu. You can get your laundry with lunch, groceries, a bottle of wine, by this app. Like Grub and Seamless, delivery.com does not charge you to use its service. Instead, the company makes a small percentage of your pre-trip subtotal and makes money. They are available with dozens of cities in the USA. The app costs nothing to use, but restaurants charge the fee on delivery and have a minimum order. Web and Mobile Application have become an integral part of business life because almost every business has to turn towards the web, and mobile application development for leveraging business results like a lead generation of higher brand value increased reach, increase in business profits, etc. Mobile and web apps have not just limited themselves to be a medium of distribution, but they evolved as an essential part of the communication between the company and its customers. It’s helping you for shaping your business strategies and learn consumer behavior also keeping a close eye on your competition. Websites are a vital and integral part of a broader strategy which is necessary for businesses wanting to build strong brand value. They also provide many benefits to offer, as they strengthen your brand’s customer experience. Moreover, websites are still a significant part of the e-commerce industry. So there are web, native and hybrid three main app types which you can explore for your app development project: but the primary question is which is better to choose? It mainly depends on your business objective and overall goals which can even make or break the success of your mobile app strategy. While deciding for building an app, there are numerous factors which you need to consider. Therefore this comparative guide will examine all the three approaches from the standpoint of a company looking to develop a mobile app. There is a fundamental difference between websites and web apps. Websites are typically generated to provide complete information, whereas web apps give away a practical solution which can seamlessly run on mobile sites. The significant advantage of web apps is that it does not need any platform specification they run seamlessly on android, iOS, Window, etc. Web apps are not for downloading, but it can smoothly load in web browsers such as Firefox, Safari, Chrome, etc. It doesn’t even take up a user’s device space. Web apps are progressive web apps, as they are the hybrid of mobile apps and web apps. So, rendering the functionalities of mobile apps to web apps, progressive web apps can now send push messages, use phone hardware and so on. Hence this technology is still limited to iOS and Windows users as it is available on Google Chrome. • Single code base across platforms. • Developing costs are lower. • Interactions are not so neat and responsive if compared to other apps. • Slower than native apps. • Less interactive and intuitive than native apps. • Cannot leverage device utilities. • UI elements are consistent. Native mobile apps are the most common app. They are mainly built for some specific platform and written in languages which platform accepts such as Swift and Objective- C for native iOS apps and Java or Kotlin for native Android apps. Mobile app Development Company also builds native mobile apps with an integrated development environment for multiple operating systems. The most commonly used syntax for native app development is Swift and Objective- C for iOS and Java mainly for Android. Native mobile apps are fast and responsive as they build with platform specifications. They are interactive and give users a natural flow of functions due to their already set platform standards. However, they can be costly if someone has a limited budget. Moreover, the arisen of modern technologies such as Xamarin and react native have changed the scenario. These are the two leading technologies which allowed mobile app developers to create native apps for a various platform with a single codebase. So both native and hybrid mobile app development technologies are built to serve native Android, iOS, and Windows development ecosystem. • Native apps are fast and responsive as it is built for a specific platform. • They are interactive, intuitive and run much smoother. • It also allows developers to access the full features. • Can work offline, the internet is not required. • It is available in app stores hence marketing is easy. • Least use of hardware and give efficient coding experience. • Different codebase required for different platform. • No cross platform support. • Prior approval required for the Apple App store. • Maintaining updating are demanding. • Convenient, fast and cost effective to build. • Apps can be easily marketed in app stores. • Provide easy and quicker updates. • It is less responsive and slower than the native app. • The UX is usually compromised. • Submission is required for a relevant app store. • Depended on a third-party platform. • Expensive than web apps. 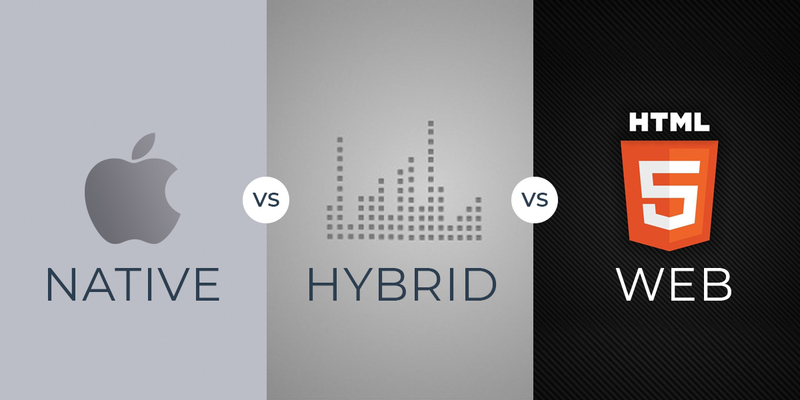 The best way to choose between web, native, and hybrid mobile app development is through analyzing your business goals. Consider essential factors like app speed, UX, complex features and budget before going for a mobile app development technology. However, the primary objective behind building an application should be developing a quicker, rapid, reliable and responsive way to communicate with your end users. In the digital era, where everyone is trying to build an app for almost anything, understanding your customers’ interest is very important before developing an app. Ask a few questions to yourself to understand the requirements of your customers: what types of application your customers prefer to download? Will your customer interests in making an in-app purchase? The response to these questions will vary according to the OS. Knowing the difference between the behaviors of iOS and Android users will help you decide which user group is suitable for your business goals and product, and ultimately assist you in selecting the right platform to develop your mobile application. The primary objective of any application is to offer users a solution to a problem they collectively face. 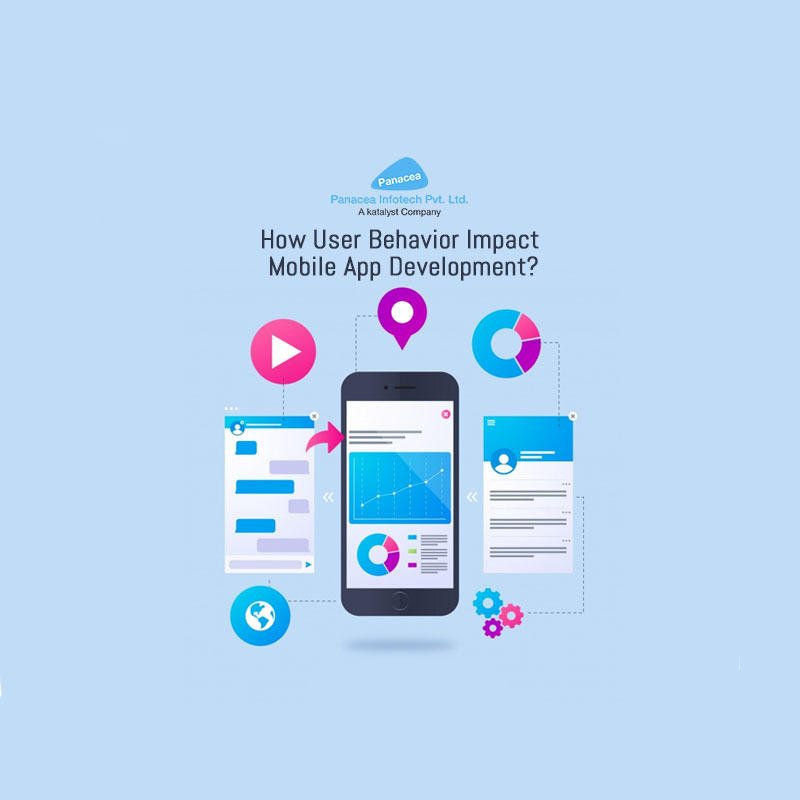 Without having a proper understanding of how user behavior differs depending on OSs, it will be difficult for you to build a mobile app that addresses the specific requirements of your target audience. According to the current statistics, Android holds over two-thirds of the global market share. The major reason behind this is the popularity of Android among developing and lower-income countries. On the other hand, iOS is more popular in Japan, UK and North America. Studies also state that iOS customers generally have higher app engagement and likely to spend more money per application. A survey conducted by a reputed organization says that the annual income of iOS users is USD 53,231 compared to USD 37,040 for Android users. It also states that iOS customers spend more, mainly on products related to self-image like cosmetics and clothing. Information about income, location and purchasing decisions can impact the users’ actions such as subscription enrollment and in-app purchases. These demographic variances also have an influence on which kind of apps a user prefers to download altogether. There are some major differences between iOS and Android device that directly have an effect on the user experience and influence you to choose one over the other. For instance, when it comes to developing an app and submitting it to the Play Store, Android developers have a free hand, whereas to submit an app to the App Store, iOS developers are bound to follow the strict set of rules. The process of developing and verifying an iOS app may take a longer time to deliver a more secure, consistent and intuitive app experience. On the other hand, Android users praise the freedom and customizability their devices facilitate that allows them to actually modify their phone according to their desires. Studying a user spending behavior to buy an app or to pay for in-app purchases is very difficult. In 2018, app revenue grew by 23 percent worldwide, but there is a huge gap between the spending of Android users and iOS users. According to a report published by app analytics firm, by the end of 2018, Apple’s App Store produced USD 46.6 billion, whereas the Google Play Store generated only half of Apple’s revenue that is USD 24.8 billion, which is a difference of 88 percent. Usually, the iOS user is likely to spend more on clothing, fashion accessories and cosmetics. In contrast, most of the Android apps depend on advertising as the main source to generate profit. These details are very helpful for organizations looking for iOS or Android mobile app development for their retail business or to generate revenue from apps. Every individual is different and their way of viewing and engaging with content varies from each other. According to a survey, on an average, iOS user spends around 5 hours per day on their phone, while Android users spend around 3 hours and 42 minutes on their phone. While it comes to notifications, iOS users take around seven minutes to open notifications while Android users usually take an average of 48 minutes to take any action on notifications. The Android customer base includes a greater number of media users and the Android users prefer performance, utility, anti-virus and productivity apps. The performance of goals such as registration, purchase, reservation, subscription and in-app purchase vary between Android and iOS. In the user engagement metrics, iOS outshines Android in all of the above-mentioned categories, except registration, in which Android has an advantage. Android or iPhone App Development, which is better for your business? While selecting a platform to develop an app for your business, the major question to ask is: what is the purpose of the application and what is your target user group? Selecting an appropriate platform entirely depends on the purpose you are trying to achieve and what is your plan to monetize your mobile app. If possible, you should develop an app for both iOS and Android to gain the most diverse and widest user base; however, developing an app for both platforms is not feasible. Each platform has some unique characteristics and offers different advantages, but knowing the behavior of the users of each operating system can help you make better decisions about where to put your efforts to meet the most business requirements and goals. Biometrics is nothing but a measuring physical characteristic to verify one’s identity, was once a form of cutting-edge technology seen only in futurism movies now it is becoming a large part of our everyday life. Whenever we get a new passport, a photo and signature need to be taken on documents, or a fingerprint is to be scanned to unlock smartphone devices. The use of biometric technology is growing exponentially of user authentication in industries such as mobile app development companies, government, retail, and now financial services. Biometric technology gave an added layer of security beyond the simple password, characteristics of a person, including voice, handwriting, fingerprints, face, retina or an iris of the eye. Where biometrics still has its faults banker are increasing their user experience for the mobile banking of their users. As millions of customers moved onto digital platforms for their banking needs, fraud has become a major concern for financial services. According to the study by Grand View Research, the global biometric authentication market is expected to grow significantly over the next five years. Biometrics of market size is expected to reach $24.59 billion in the next six years, and we will see a lot of growth in the banking sector. 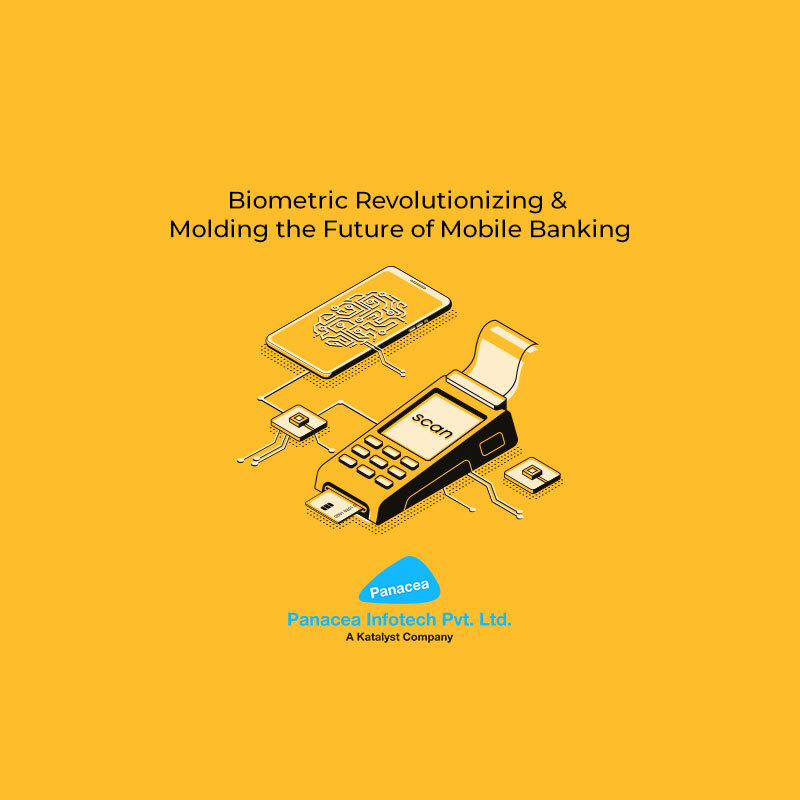 Here are some of the major market trends we will continue to see during the growth period which will impact the adoption of biometric technology in the banking industry. When many banks are ensuring that their customer data is safe, or secure still customers will be a risk of fraud. Such companies as Microsoft and Intel are beginning to recognize the pressing need for vital security and building biometric authentication systems into their future products. Biometric single sign-on is a password management technology that protects data from unofficial clients. These type of forward-thinking companies are giving way for banks to enter the biometric space for mobile banking. According to the research reports, over 30% mobile app development companies, will be using biometric authentication as a security system in a year. A growing number should be considered as an opportunity by the banks instead of a barrier. If mobiles can have this technology as a security measure, why can’t banks? There are distinctive methods of biometric confirmation which foundations can embrace, for example, unique mark, voice, retina, heartbeat, facial acknowledgment, and so forth. HSBC as of late presented unique mark and contact Id sign-in to its portable keeping money application with numerous different banks to pursue. This takes out the torments of recalling passwords and enduring the feared record bolt after an excessive number of secret word endeavors also with this innovation, clients are given more prominent accommodation and security. Where their biometric authentication provides many benefits, there are still many questioners unwilling to adopt this new technology. Which is because of the face-threatening remark such as storage or privacy concerns, like any safety process. After releasing the Apple iPhone 5S with the fingerprint sensor, consumers have become comfortable with biometric authentication, also the fingerprints now have become a mainstream alternative to PINs or passwords. Biometric identification can be obtained on mobile devices either through its built-in biometric sensors or attaching portable biometric hardware to it via a USB cable or through a wi-fi connection. Here are given following biometric authentication methods that banks are already taking advantages. It contains more than 200 unique points of data which are saved in the institution’s database. Iris scanning is the most reliable way of authenticating identity. Voice identification is the best if we compared with another when it come for authentication mode. HSBC has introduced to voice identification mobile apps and ATMs to allow complete there transactions without asking their password or cards. Numerous mobile app development companies in Chicago have followed a methodology for their business for the security purpose which helps to authenticate their users at ATMs, as well as online or mobile banking. It is a type of authentication which is relying on the user like positioning or lighting of the face also help to make low effective security option. Fingerprint scanning is the one which is accessible for authentication of mobile devices worldwide. Vein pattern scanning is depending on the pattern of your veins in the palm, fingers, and eye to verify users. The vein patterns of each person are as unique as their fingerprints, which is not as easy to replicate. Now in the present financial sector, people are aware of the security which never gives assurance with any reliable method still have to choose vindication to protect their clients as well as themselves. Biometric technology has taken a definite step in our lives it has expanded the security of our data, made each transition secure also has increased the velocity of a process in many supplications of our daily lives. In future we may see helping people for their medical health and following accordingly with that we may see where PINs no longer used for ATMs because of the biometric scanners. Biometrics, a form of measuring physical characteristics to verify one’s identity, was once a form of cutting-edge technology seen only in futurism movies now it is becoming a large part of our everyday life. Whenever we get a new passport, a photo and signature need to be taken on documents, or a fingerprint is to be scanned to unlock smartphone devices. The use of biometric technology is growing exponentially of user authentication in industries such as mobile app development companies, government, retail, and now financial services. The emergence of biometric solutions provides an added layer of security beyond the simple password, characteristics of a person, including voice, handwriting, fingerprints, face, retina or an iris of the eye, or a combination of these identifiers. While biometrics still has its faults, many banks are turning to this technology to enhance their user experience for mobile banking by offering users more security and convenience. Do you feel that a mobile website is just not enough to enrich your business? Your assumption is not wrong though! You are going to have to really grab the attention of the smartphone generation and get them to use your mobile app. The question is: once you are done with the mobile application development, how do you spread the word about it? So, if you looking for some great ways to market your mobile app, you have come to the right page. Are you an aspiring developer trying to build a unique mobile app which would ensure customer engagement and the required marketing measures? Well, you have got to stay stick to a number of yardsticks in this regard. Stumbling through mistakes are quite common among the developers and your expertise, as a developer, lies in how perfectly you manage to do away with the errors. However, still, just a mere idea is not enough to help you with the process.